PRE-STEP: Preheat oven to 425F degrees. Spray a donut pan with nonstick cooking spray. Set aside. STEP 1: In a large bowl, whisk together the flour, baking powder, baking soda, nutmeg, salt, and sugar. Set aside. STEP 2: In a medium sized bowl, whisk together the milk, sour cream, and eggs until smooth. STEP 3: Whisk in the melted butter, vegetable oil, and vanilla extract . Pour the wet ingredients into the dry ingredients and stir until just combined. Do not overmix. The batter will be very thick. STEP 4: Spoon the batter into a large zipped bag. Cut a corner off the bottom of the bag and pipe the batter into each donut cup, filling 3 ∕ 4 of the way full. STEP 5: Bake for 10 minutes or until the edges are lightly browned. 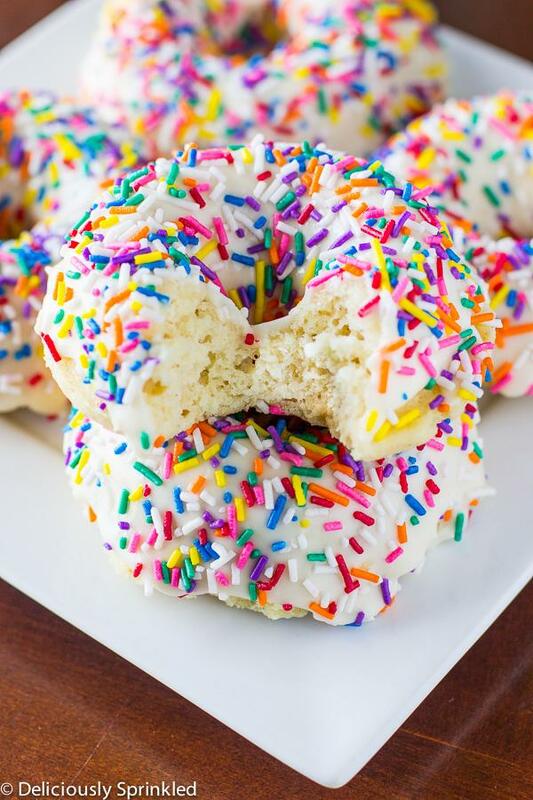 Remove from the pan and bake the remaining donut batter. Allow the donuts to slightly cool before glazing. STEP 6: In a medium sized bowl, whisk together the milk, powdered sugar, and vanilla extract until smooth. 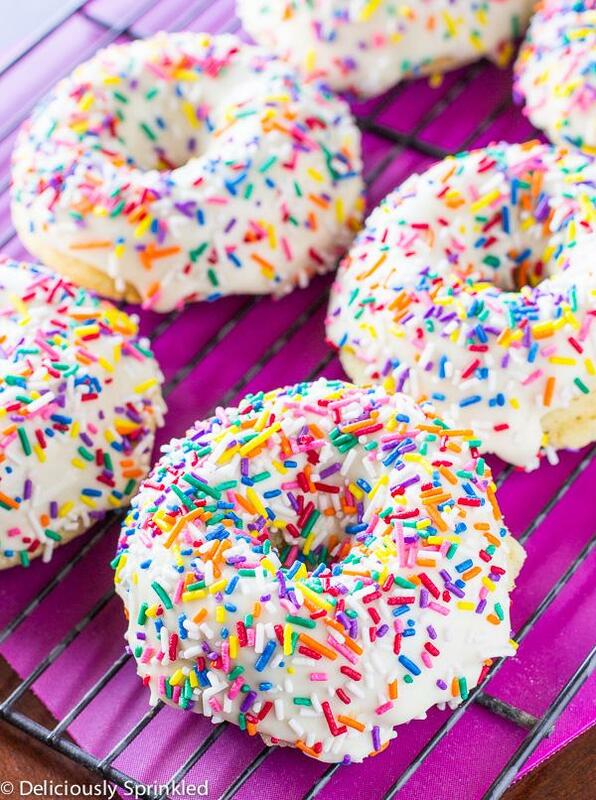 Dip the top of each donut into the bowl of glaze, and sprinkle with colored sprinkles immediently after glazing. Let glaze set for 5-10 minutes before serving.